Ben Tubbs Adventures is Richard Jefferies’ earliest extant work of any length, probably written in his late teens. It is a quest novel of voyage and adventure, and his first essay in a genre to which he was naturally drawn. It was probably influenced by the greatest quest story of them all, Homer’s Odyssey, one of Jefferies’ favourite books as a boy. It is likely that Jefferies wrote it for his personal amusement and the entertainment of family and friends. For students of Jefferies, the novel is of interest. The humour and Ben’s pranks in the early chapters of the book are juvenile and immature but fitting for a boy’s story. The descriptions of the slaves on the slave-ships are racist in the extreme and painful to read. However the later chapters, that treat Ben’s adventures in America, show some sparks of Jefferies’ real writing talent. He describes the prairies with great sensitivity. There is an excellent introduction by Andrew Rossabi and this is worth reading in its own right. 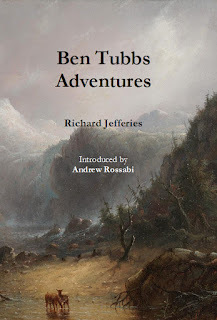 Ben Tubbs Adventures (Petton Books: Norfolk, 2016). ISBN: 9780956375179. 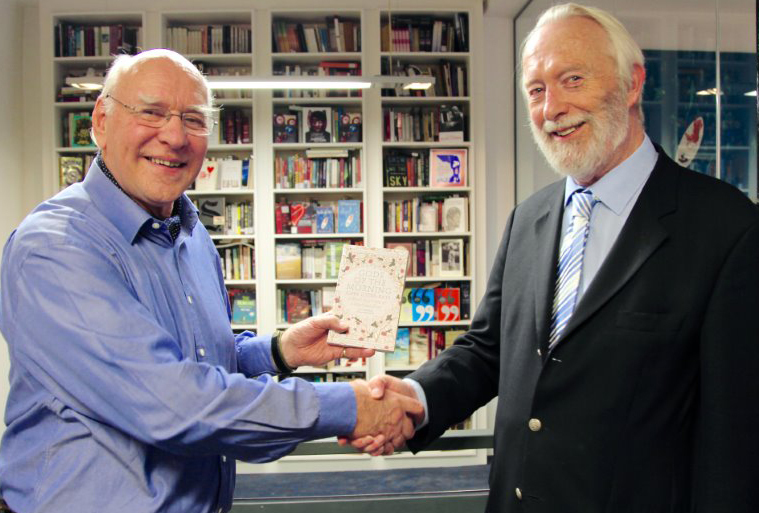 Sir John Lister-Kaye has been awarded the inaugural Writers’ Prize by the Richard Jefferies Society for Gods of the Morning, his critically acclaimed celebration of a natural year through the lives of British birds. His ninth book, it will be released in paperback this week. The Richard Jefferies Society was founded to commemorate Richard Jefferies, a Victorian writer best known for his groundbreaking work on natural history, rural life and agriculture. 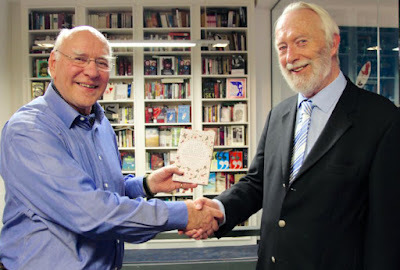 The Society’s Writers’ Prize, founded in memory of John Webb – lifelong lover of Jefferies’ writing, commenced in 2015, with the prize of £500 awarded for any length or format of writing on themes or topics broadly consistent with Jefferies’ writing. Also shortlisted for the prize in 2015 were Common Ground by Rob Cowen and The Moth Snowstorm by Michael McCarthy. Gods of the Morning follows a year through the turning of the seasons, exploring the habits of the Highland animals, and in particular the birds – Lister-Kaye’s gods of the morning, for whom he has nourished a lifelong passion. It is an affectionate and wise celebration of the British landscape and the birds that come and go through the year, a lyrical reminder of the relationship we have lost with the seasons and a call to look afresh at the natural world around us. Published in hardback last year, it has received praise from critics and writers across the industry including Helen MacDonald, Mark Cocker, Patrick Barkham and Chris Packham, widespread glowing reviews, and was selected as the Waterstones Scottish Book of the Month. Sir John Lister-Kaye is one of Britain's best-known naturalists and conservationists. He is the author of nine books on wildlife and the environment, including At the Water's Edge, and has lectured all over the world. He has served prominently in the RSPB, the Nature Conservancy Council, Scottish Natural Heritage and the Scottish Wildlife Trust. In 2003 he was awarded an OBE for services to nature conservation. He lives with his wife and family among the mountains of the Scottish Highlands, where he runs the world-famous Aigas Field Centre. 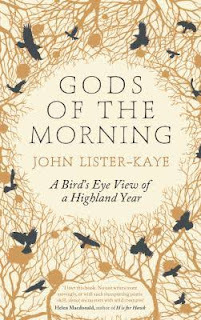 Gods of the Morning, by John Lister-Kaye, is published by Canongate.